I was totally surprised last night when I jumped on my blog and noticed that I received two blog awards! Wow, what an honor – and mind you, these are my very first awards, so getting two in one day is amazing! So, thank you very much Jhuls, from The Not So Creative Cook, for nominating me for the Sunshine Award and the Best Moment Award! You are incredible and so is your blog – and by the way, Jhuls is really a creative cook! Getting these awards has really made my week! I began my blog in March and I have loved every moment since. Being able to share my recipes and other little snippets of life with you all has been an amazing journey and I look forward to continuing my passion hopefully for a lifetime! And I am honored to pass along these awards to other bloggers who inspire me! 4. What are your Facebook and Twitter? Find and like me on Facebook at sweetbakedlife. I have not used Twitter yet, but when I do, you can find me @sweetbakedlife. 5. What is your favorite time of the day? Evening enjoying a delicious dessert with my family! 6. What was your favorite vacation? My honeymoon on the north shore of Kauai. 7. What is your favorite physical activity? Walking and baking, of course! 8. What is your non-alcoholic drink? Ice cold Lemonade. 9. What is your favorite flower? Pink baby roses. 10. What is your passion? Baking and photography and being able to share both! In no particular order, these amazing bloggers are my nominations for the Sunshine Award! Answer the same 10 questions given. Nominate up to 10 blogs for the award, a link to their blogs in your post, and notify them on their blogs. number of Best Moment Awards you have received. I gratefully accept this Best Moment Award and would like to first thank my wonderful husband and my sweet son for putting up with all of my late-night writing, endless recipe experimenting, and my constant photographing of the dishes I make before they can dig in! I would also like to thank them for being my official taste testers, giving me inspiration to create some delectable treats, being honest when they don’t like something, and most of all, for loving me and supporting me unconditionally for what I am passionate about – baking, blogging and photography. I would also like to thank all of my friends, followers and other bloggers for their encouragement and amazing ideas! And last, but surely not least, I would like to thank my mom who taught me how to bake from a very early age. She gave my first mini-loaf pan, and we used to make Cinnamon-Sugar Bread together. From then I was hooked; I have had a fondness for sweets and baking ever since! It makes me happy to bake and I love sharing my recipes for all to enjoy! 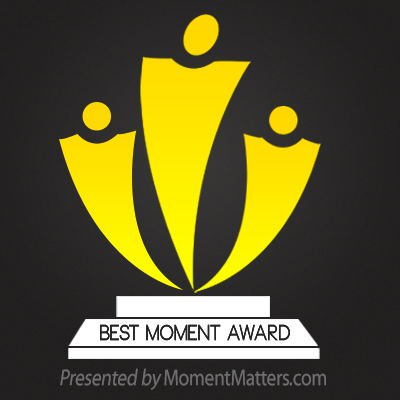 In no particular order, these incredible bloggers are my nominations for the Best Moment Award! 1. Winners re-post this completely with their Acceptance Speech. 2. This could be written or video recorded. 3. Winners have the privilege of awarding the next awardees! 4. The re-post should include a NEW set of people/blogs worthy of the award; and winners notify them the great news. Wishing everyone a great day — keep up the amazing blogging that you do! 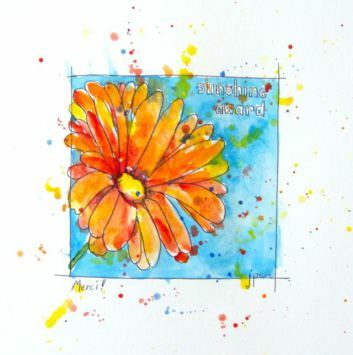 Sheila, Thank you so much for the Sunshine Award! I’m truly honored that you selected me for this award. Have a great week! You are welcome! And you absolutely deserve it! Happy Sunday!!! Hi Sheila, thanks so much for the award, it’s greatly appreciated! I love reading you’re blog, and keep baking! Thanks a lot, Sheila! It feels great when someone appreciates what you do, and for considering me as a ‘creative cook’ when I don’t see myself as one, I feel wonderful and this really made my day. Congratulations on your awards and you deserve it. And by the way, why haven’t I thought of Julia Child?! You are one smart blogger, haha! I love Julia Child! Looking forward to getting to know you through your blog. Thanks for brightening my day with the lovely acknowledgement. Thank you so much for the honor! BTW, reading your blog makes me smile. And you are very deserving! Love your blog too!!! !